An novel kitchenware project just rocked the Kickstarter-sphere. 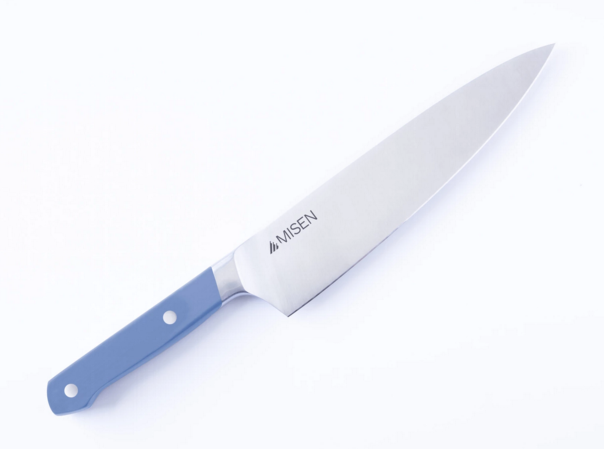 Misen, a $65 high-quality chef’s knife, raised $1,083,344M from 13,116 backers. 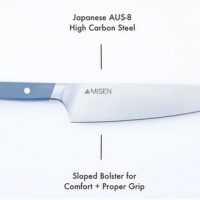 Crowned the “the holy grail of inexpensive chef’s knives” by Serious Eats just before the campaign launch, Misen blew through its $25k goal in minutes and went on to become the fourth most funded food project ever on Kickstarter. Co-founder Omar Rada is an alumni of our Crowdfunding Bootcamp, taught by Lisa Q. Fetterman of Nomiku. We caught up with him midway through the campaign to chat about its run away success, his lessons learned and more (don’t miss that interview here). And today, we’re excited to share Rada’s post campaign insights, challenges and advice for aspiring food crowdfunding projects. Our interview has been edited lightly for clarity. Food+Tech Connect: It was amazing to watch the trajectory of your campaign. You had a goal of $25K and ended up raising over $1M. What now? With 13k+ orders placed, how do you plan to scale manufacturing and meet the demand for your knives? Omar Rada: Now, the real fun begins. Our view is that we now have 13,000+ opportunities to either delight or disappoint. By far, the most important thing for us is to fulfill our promise and make an amazing chef’s knife. To that end, making several knives is worlds different from making nearly 18,000. We’ve had to source a few additional resources to help our supply chain efforts with the goal of ensuring quality across scaled up production. FTC: The crowdfunding process can be a complete whirlwind, making it difficult for entrepreneurs to focus on post-campaign logistics. 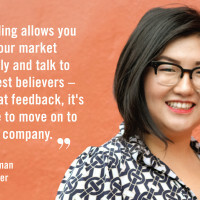 How are you laying the foundation for your business now that you’ve proven product market fit? OR: In terms of creating a foundation for logistics, there’s a balancing act between meeting the unique challenges of a Kickstarter campaign and setting things up for the long haul as an ongoing business. For example, a particular third party fulfillment partner may be great to help us ship out the initial hump of Kickstarter orders, but not ideal for everyday operations. Trying to meet both short and long terms needs so that we serve our community well is crucial to establishing a strong foundation for Misen. FTC: A lot of the initial momentum seemed to come from Kenji Lopez’s Serious Eats article and the tons of press that followed. Is that correct? How did you get Kenji to cover Misen? What was your approach? OR: We’ve been HUGE fans of both Serious Eats and Kenji for ages, so when the article ran it meant the world to us. Not just for the Kickstarter campaign, but personally as well. Imagine if a site you read religiously ran an article about a project that’s very important to you. You’d be pretty jazzed, right? Now multiply that by a thousand. We had a very limited number of sample knives to give out prior to the campaign, and wanted to get them into the hands of people we respect and thought would be interested in our project, Kenji being one of those people. We sent him a knife, not entirely sure he’d even get a chance to look at it (have no doubt he gets sent tons of products for review). Fortunately, he did review the knife, and we were thrilled with the Serious Eats article. FTC: When we spoke in the middle of the campaign you attributed the success of your campaign to the incredible amount of preparation and community building you did before the launch. What kind of community building and marketing did you do to keep the momentum going throughout the campaign? OR: Most campaigns are book-ended with excitement. Beginnings and endings are periods of very high activity, but the middle can often be a slog, and momentum can be hard to sustain. For us, re-engaging with our existing community and asking people to spread the word was incredibly helpful to keep momentum going, but again this goes back to preparation. You can’t build a community mid-campaign. It takes times, and a desire to truly connect and engage with people about the project you’re working on. FTC: Why did you choose to use Kickstarter rather than other crowdfunding platforms? And how do you think this decision affected your campaign’s success? OR: We’ve been active members on Kickstarter for a long time, so to start it was the platform we were the most familiar with from a backer’s perspective. I think this familiarity as a backer definitely helped influence how we, as first time project creators, approached the campaign and yielded positive results. 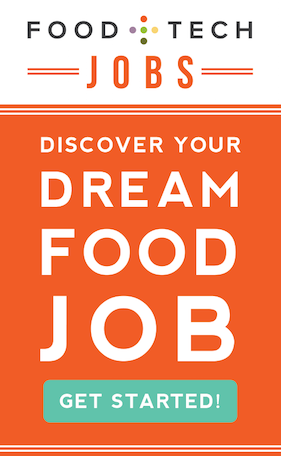 Beyond just familiarity though, we felt our project would resonate well with Kickstarter’s food and product design categories, the intersection of which is what Misen is all about. FTC: What have been your biggest challenges since the campaign ended? OR: The biggest challenge has been staying focused on what matters, which is making an amazing chef’s knife. There are a ton of ancillary activities and tasks that need to get done, and while individually they aren’t huge, collectively they add up. Making sure we’re focused on only the essentials will be crucial to how well we’re able to perform in the future. FTC: If you could go back in time and give your team pre-campaign advice, what would it be? OR: You only get one chance to launch a Kickstarter campaign for the first time. Work hard, have fun, and hold on. It’s a wild ride.